The Museum of Contemporary Art Jacksonville recently awarded its 2017 Stein Emerging Artist Prize to recipient Ethan Murrow, an art professor at Boston's Tufts University's Museum School. Named for Regency CEO Hap Stein and wife Brooke, the Stein Prize awards an emerging artist from one of MOCA's self-curarated exhibits with a stipend and wall space in its permanent collection. 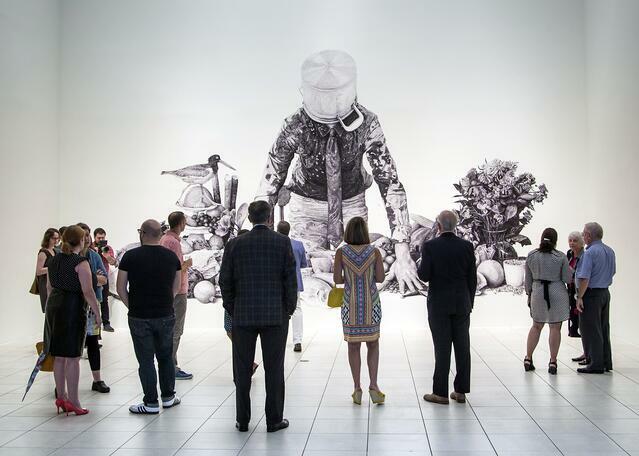 Murrow's recent exhibition was a large-scale still life drawing created using Sharpie markers. Read more about this year's artist and last year's Stein Prize winner here.